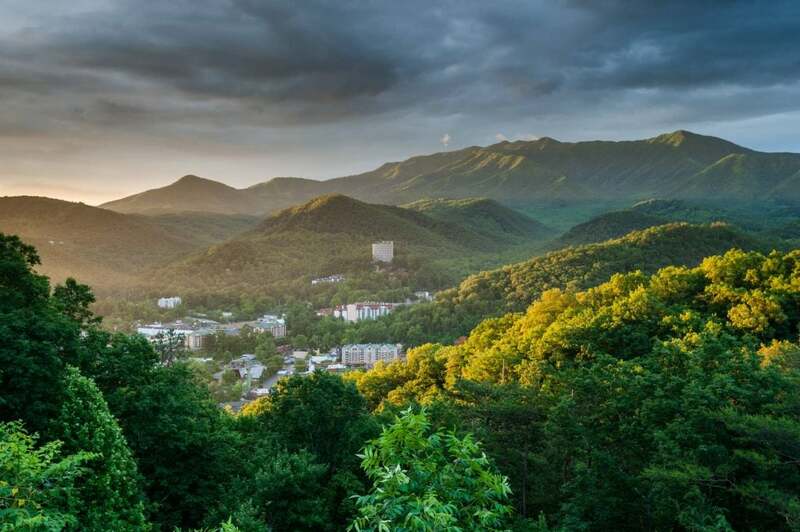 Gatlinburg, Tennessee takes its nickname, “The Gateway to the Smoky Mountains,” very seriously. 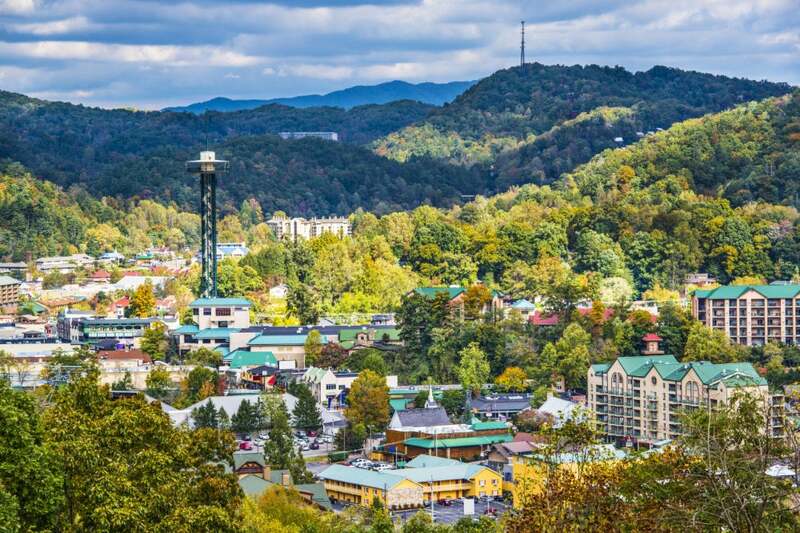 This East Tennessee mountain town attracts visitors year round, and local Gatlinburg campgrounds provide the best possible access to the beloved Smoky Mountains. Gatlinburg rests in the shadow of Mt. Leconte, and its resort-style culture may be a welcome sight to weary hikers and campers coming out of the 520,000-acre Great Smoky Mountains National Park. More than 150 years ago the mountain town may have banished its namesake and founder, Radford C. Gatlin, but today Gatlinburg extends welcoming arms to anyone passing through. Gatlinburg campgrounds run the gamut from ordinary tent pitching and RV parking to treehouses and European safari tents. This small mountain town loves its resort industry, so your family will have plenty of options that lean more toward glamping than roughing it. But there’s nothing stopping the primitive campers who look for a mountainside to take the short trek into the Smokies. As the gateway to the Smoky Mountains, Gatlinburg is the perfect bridge of connection between luxury resorts and minimalist camping. Whichever experience you choose, the stunning Smoky Mountains vistas will make your trip extraordinary. 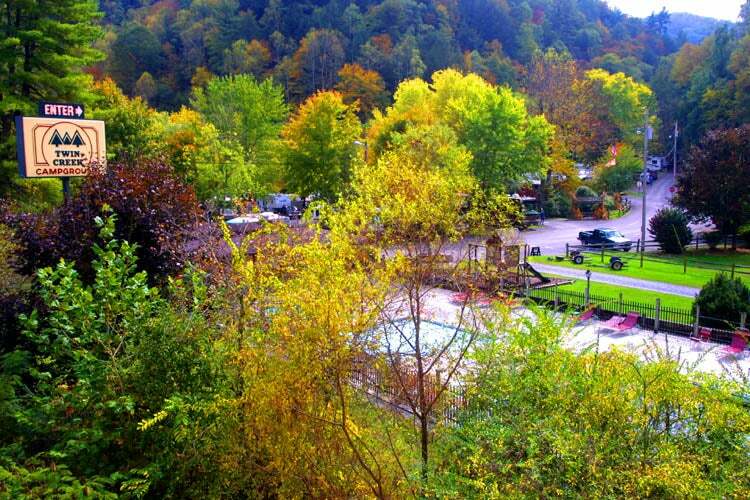 Nothing bring you to the core of Smoky Mountains living quite like staying at local Gatlinburg campgrounds. 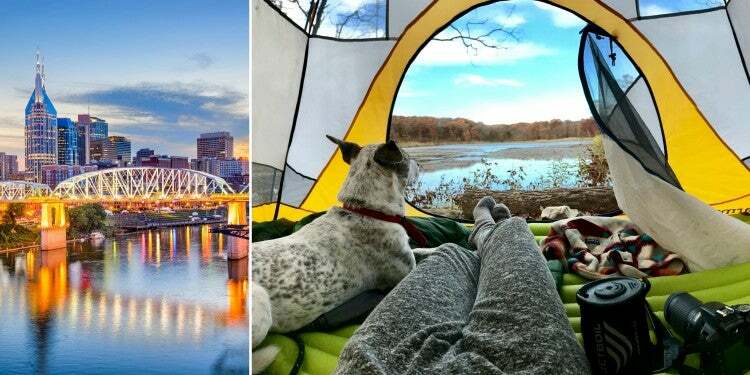 Whether you’re pitching a tent on primitive grounds, or glamping in a luxurious cabin, there’s a place to camp that’s close enough to the bustle, while still secluded near the foggy Smokies. Camp LeConte is only four miles from downtown Gatlinburg and situated at the edge of the Great Smoky Mountains. For those who are looking for a simple plot to pitch their tent, there are primitive campsites with the basic amenities of a fire ring, picnic table, and restrooms on site. Those looking to truly rough it might need to ignore amenities like the heated pool and Wi-Fi that are also available at Camp LeConte. 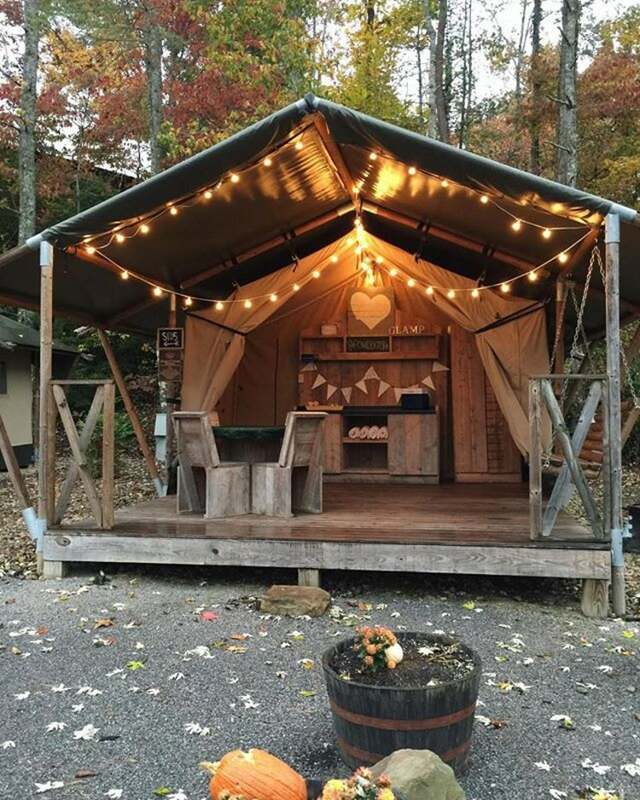 But this Gatlinburg campground offers some unusual camping options beyond your old tent. Campers can sleep in treehouses, a glamping Safari tent, and even a decked-out retro camper. 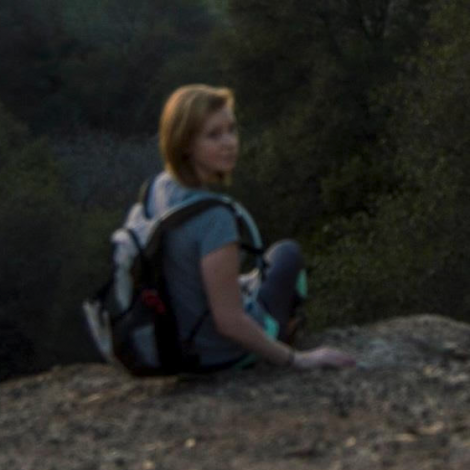 Be the first to add a review to Camp Leconte on The Dyrt and earn your pioneer badge! 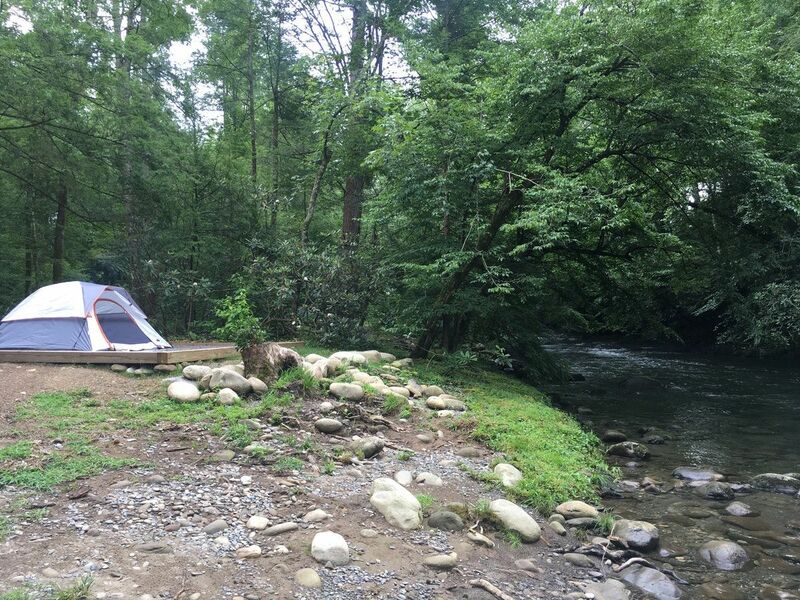 Image from The Dyrt camper Lay-c N.
Greenbrier Campground is located within the Great Smoky Mountains National Park, and is one of the park’s most popular spots on the Tennessee side. Even though the campground takes you right to the banks of the Pigeon River and surrounds you with mountains, it’s still only a short drive away from the civilization of Gatlinburg. The 100 full hook-up sites accommodate tent campers, back-in RVs, and a limited number of pull-through RVs. Tent campers can choose to stay right on the river or in a wooded area. Although you’re tucked away on mountain islands, water and electric are available on the second island. This Great Smoky Mountains getaway is ideal for its Pigeon River swimming hole, the Flint Rock trout fishing, and the private beach which is also available at Flint Rock. 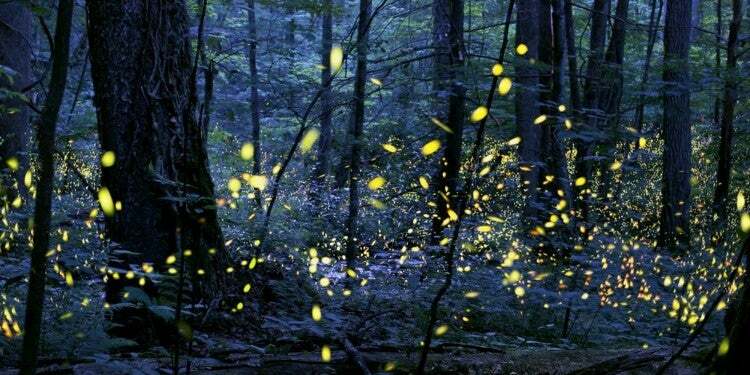 “Imagine yourself peacefully sitting out under the stars, mountain peaks in view, the rush of the Little Pigeon, illuminated by the fire directly in front of you. Though the water fluctuates with rainfall quite a bit, you can always hear it from your tent or RV, which was an added bonus.” –The Dyrt camper Erin H.
Image from The Dyrt camper Jeanene A. The Pigeon Forge KOA is right in the heart or urban Gatlinburg, but also close enough to the Smokies to be a solid base camp for adventure. Unlike these other Gatlinburg campgrounds, you might not need to leave your campsite if you’re looking for closer entertainment. Kids can glide around on a gravity rail and families can pan for fossils and gems at the Gem Mine. The Pigeon Forge KOA has waterfront sites on the Little Pigeon River for tents, pull-through sites for RVs, and deluxe cabins available. The grass tent site has water and electric hookups, while the gravel tent sites that sit one the edge of the water are more primitive, with no hook ups. “I’ve never stayed at a KOA I didn’t like, and this one is no exception. 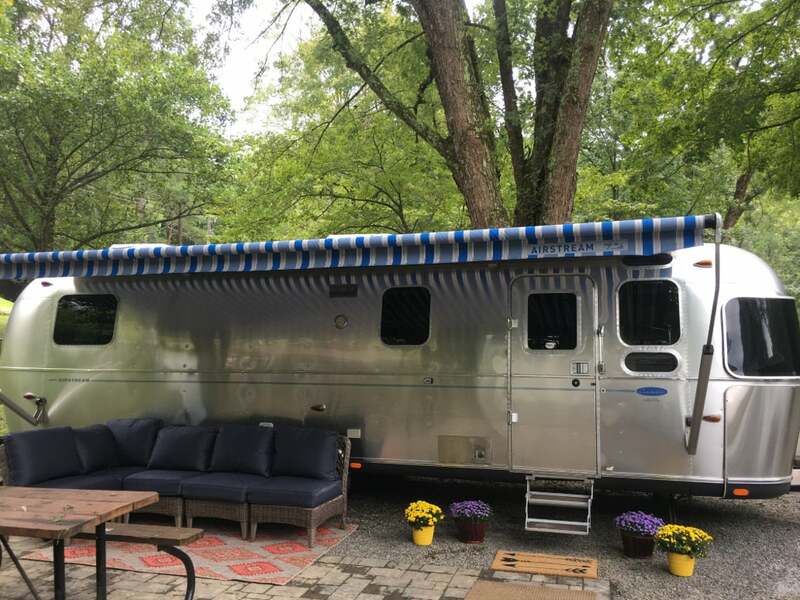 If you want to camp a little closer to the shops and eateries in the Smokies, then this one is perfect. You can’t go wrong staying here.” –The Dyrt camper Dr. David P.
Twin Creek RV Resort is the closest RV site to downtown Gatlinburg, at only two miles away, and is perfect for those RV adventerures looking for Gatlinburg campgrounds. 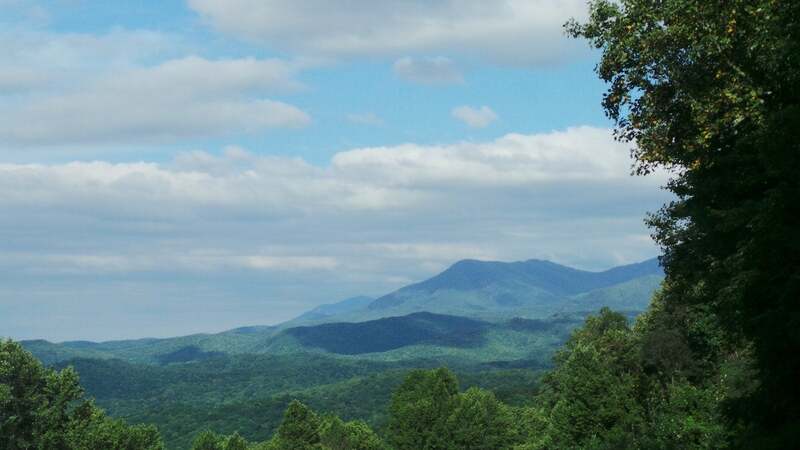 The family-owned site is situated at forest’s edge and borders the Great Smoky Mountains National Park. RV campers sleep among the rippling water sounds of Dudley Creek and Kears Creek. This Gatlinburg campground offers 20-, 30-, and 50-amp service. All sites have water, full sewer hook-ups, cable TV, Wi-Fi, a fire ring, grill, and cement patio. 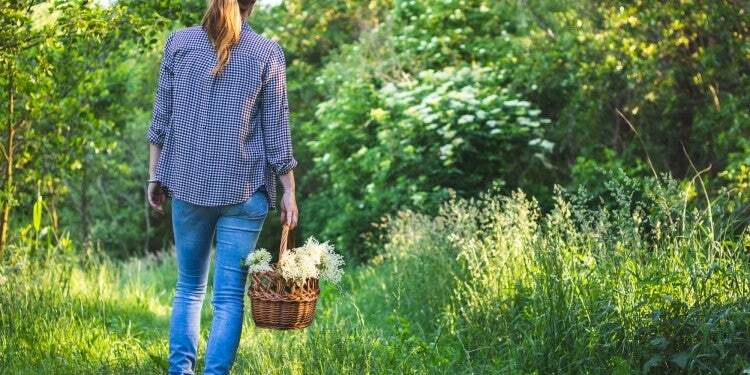 But some of the best Twin Creek RV Resort amenities come with the natural landscape. Campers have spotted creek-drinking turkeys, a family of otters, and redheaded woodpeckers from their RV sites. 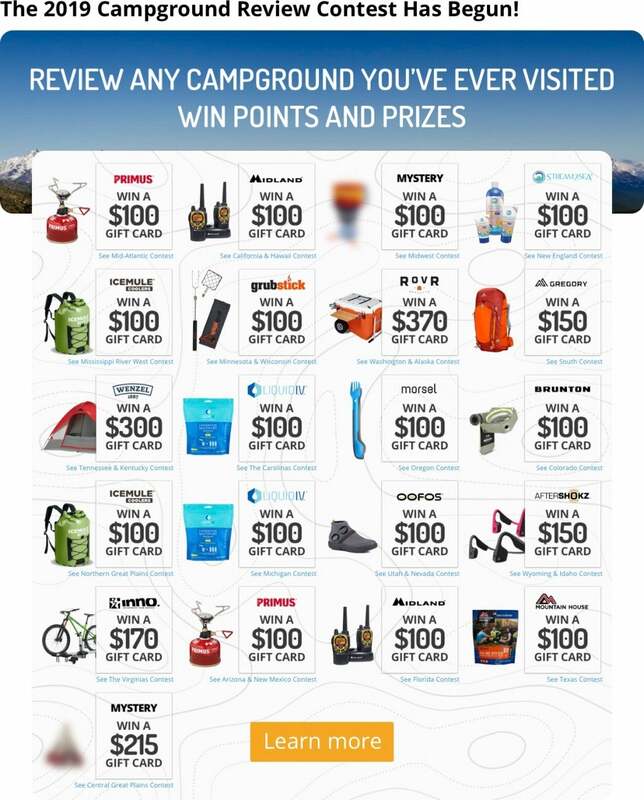 Be the first to add a review to Twin Creek RV Resort on The Dyrt and earn your pioneer badge! Little Arrow Outdoor Resort is the place for the home-away-from-home camping experience in the foothills of the Great Smoky Mountains. The glamping tents comfort campers with heat and air conditioning, bathrooms, a kitchenette, furniture, and bedding. There’s also a primitive glamping tent with all the amenities minus the bathroom, but there’s a restroom within walking distance. Other accommodations are decked out with fire places and hot tubs. After waking up pampered and relaxed at Little Arrow, the Great Smoky Mountains backdrop is there to greet you every morning. “Expensive but worth it. The owners are going all out with this campground. 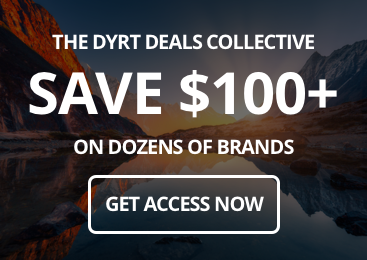 Tiny homes, glamping tents, and cabins for rent.” –The Dyrt camper Gregory J. 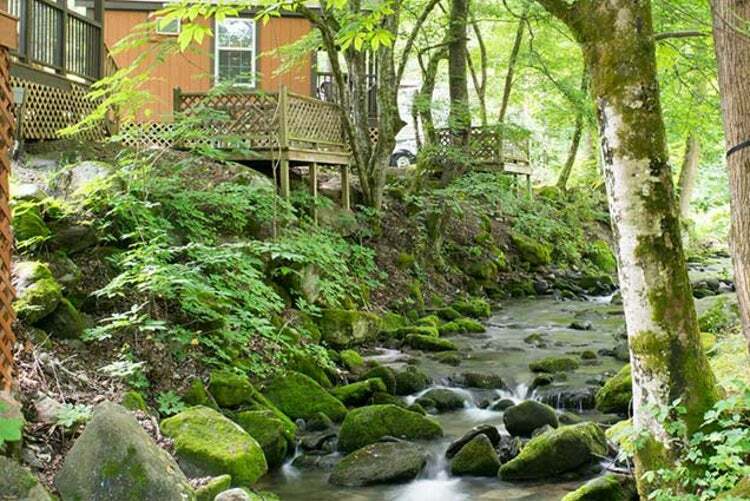 Adventure Bound Gatlinburg is a privately owned campsite that offers cabins depending on family size. There are also RV rentals available that sleep up to six comfortably. 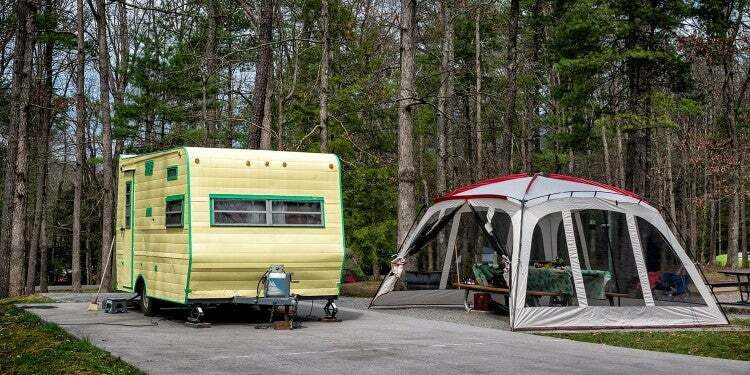 This Gatlinburg campground makes it easy to take to the Smoky Mountain trees, since the RV and cabin rentals come with fire rings and barbecue grills, so you can enjoy the forested outdoors until you’re ready to relax indoors. If you bring the kids, make sure to take advantage of the large pool and the 500-foot water slide on the campground site. Be the first to add a review to Adventure Bound Gatlinburg on The Dyrt and earn your pioneer badge! Some may consider Gatlinburg more of a tourist destination than an enriching town to stop and appreciate. But the activities in and around Gatlinburg are far from ordinary. 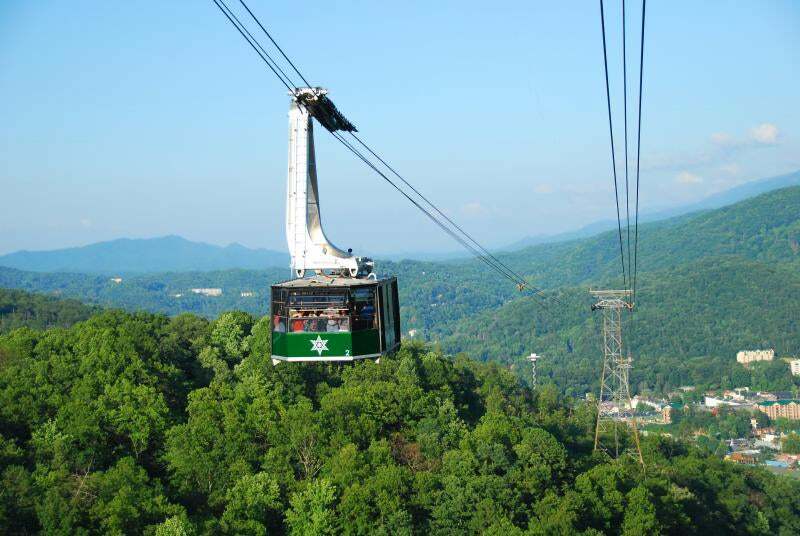 Visitors can take in 360-degree views of the Smokies from the Space Needle or be gently carried away by the Pigeon River in an inner tube. Dollywood is perfect for kids to squeal down rollercoaster drops and also learn about the history and culture of the eastern Tennessee Appalachian people. And adults can take a day to learn and taste the infamous moonshine, which has U.S. origins in this region. 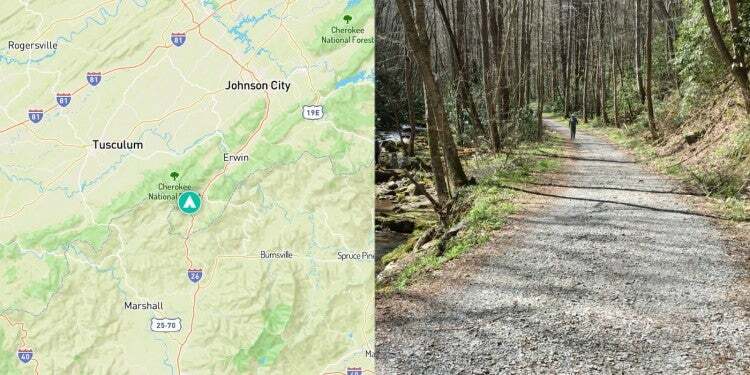 Once you leave one of the many Gatlinburg campgrounds in the area, it’s incredibly easy to find activities that are informed by the landscape and the culture, making your trip uniquely Gatlinburg. Ground-level view doesn’t quite capture the marvelous mountain terrain that surrounds Gatlinburg. The city’s own Space Needle will take you over 400 feet into the sky for panoramic views of the town and the Smoky Mountains. Once you’re finished marveling at the 360 degree views, spend some times at the 25,000 square foot arcade area at the Space Needle. If you’re looking for the best seat in the house to view the Smokies, without actually having to hike up the mountain, the Sky Lift in Gatlinburg has the views for you. A chairlift will pick you up and you’ll glide 1,800 feet to the top of Crockett Mountain. There’s currently some construction projects going on at the top of the mountain, so no dismounting yet. But the chairlift will revolve and cradle you on the descent past the foggy mountains until your feet are set back on Gatlinburg soil. Nothing says vacation like day drinking. Gatlinburg is the perfect opportunity to have a sip of some of the spirits that were infamously (and illegally) distilled creekside in the Smoky Mountains. Tennessee Mountain Tours hosts a Moonshine ‘N Wine tour, and supplies the designated driver that will take you to several different distilleries. The tour is also a history lesson on the once-illegal moonshine, also known as white lightning. 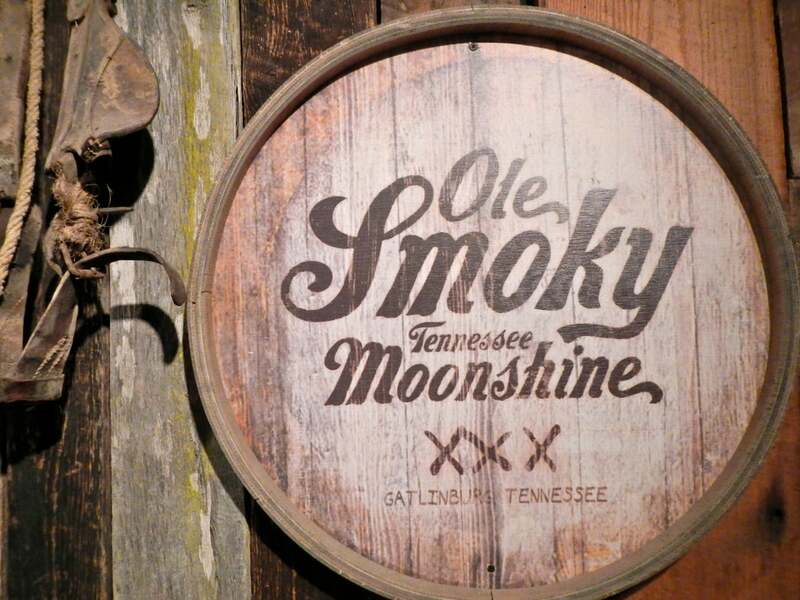 No need to be worried about tasting the forbidden drink, the first legal moonshine distillery opened in Gatlinburg in 2010 after Tennessee made moonshine legal in 44 counties. 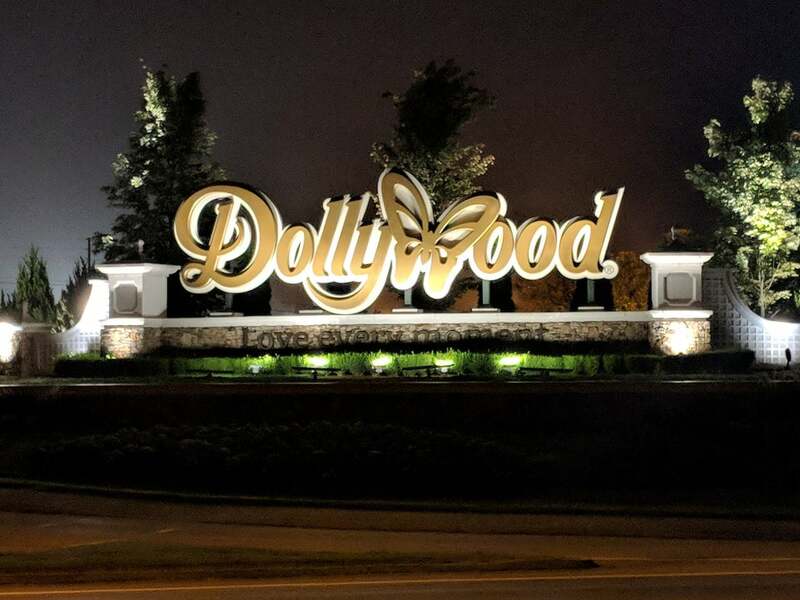 Only a 15 minute drive away from downtown Gatlinburg, no trip would be complete without visiting the land of the Tennessee Queen, Dolly Parton. Dollywood is Parton’s theme park in nearby Pigeon Forge, Tennessee and remains open from mid-March through the winter holidays. With thrill rides, Smoky Mountains cultural crafts, live entertainment, and a beautiful natural setting in the Smokies, it’s no wonder Dollywood is the number one attraction in all of Tennessee. The park supports Dolly Parton’s other nonprofit venture, Imagination Library, which donates a monthly book to children in Tennessee and across the United States. 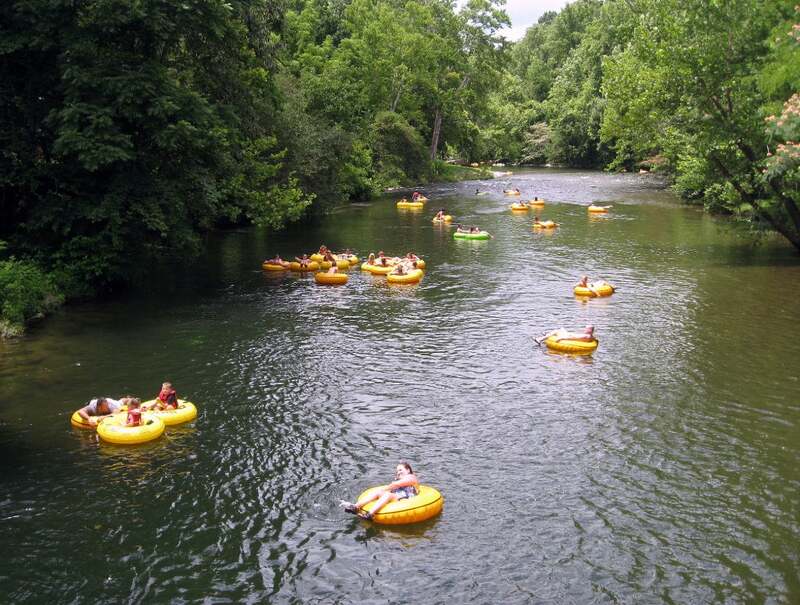 Located near Gatlinburg and Pigeon Forge, Little Pigeon River is the ideal body of water for a lazy glide down the mountain stream, a popular southern activity once the heat and humidity kick in with summer. River Romp is one inner tube outfitter that’ll carry you down the crystal and cool waters. Their river trips last 2.5 miles and take around a couple hours to complete. The ride is mostly smooth with a few river rock bumps along the way. With all the commercial attractions, it’s easy to drop some cash around Gatlinburg campgrounds. But not every activity has to hit your wallet. 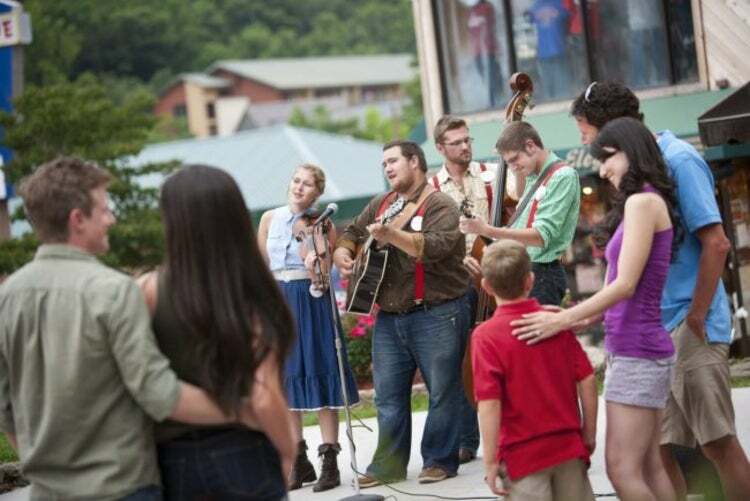 Tunes and Tales is one event that’s both free and representative of Gatlinburg culture. The event is uniquely Gatlinburg, as it’s curated from the stories, music, and artwork of locals. Tunes and Tales also pays homage to the area’s history. You can gain a more intimate knowledge and appreciation of Gatlinburg at Tunes and Tales from mid-June through July in the summer, and on weekends from Thanksgiving to Christmas. Image from The Dyrt camper Lori H.